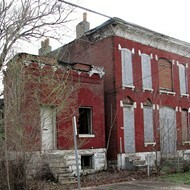 Vacant homes in the city's Hyde Park neighborhood. Paul McKee's days of enjoying support from the St. Louis Board of Aldermen appear to be over. 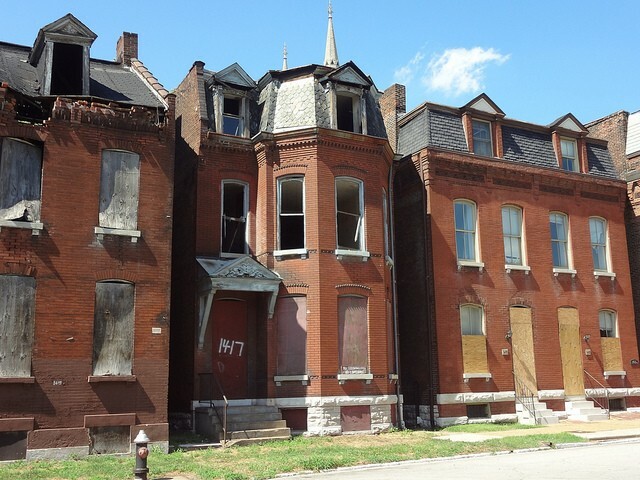 This morning, the board voted to remove from city codes the so-called "McKee exemption" — a little-known clause carving out an exception to the ordinance requiring vacant buildings to be kept up to code. 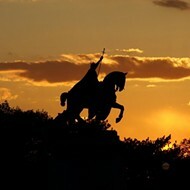 The clause held that anyone who has a "specific development agreement" with the city of St. Louis would not be subject to the standard $200 fee assessed on each building that falls into disrepair. McKee, who famously promised to redevelop the north side, is the only person with such an agreement, city officials have confirmed. And as the owner of an estimated 500 properties with buildings on them, that one little clause has likely saved him a whole lot of money. The board's passage of Board Bill 171 came without discussion — and was unanimous. Now the bill will go to the mayor, but she appears to be on board; her building commissioner, Frank Oswald, testified in its favor at a committee hearing earlier this year. The bill was introduced by Alderwomen Cara Spencer, who says she learned about the exemption from a whistleblower within the city's building department. "I believe this is the first time the leadership in this city has stood up to Mr. McKee," Spencer said just after the vote. "This is really an issue of fairness and treating all property owners in the city equally. I'm hopeful the mayor signs this bill so that we can move to imposing the same vacant building fees we assess on other derelict property owners."